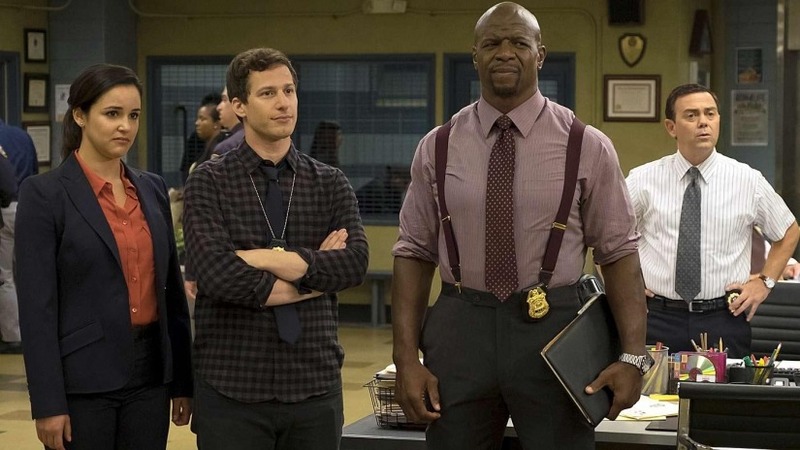 Fox has cancelled its award-winning, fan favourite police comedy, Brooklyn Nine-Nine, after only five glorious seasons. The Golden Globe winning show is highly regarded for its diverse cast and it tackles serious social issues, such as racial profiling, police corruption and homophobia in a respectful but still hilarious way. With fantastic character development and the purest interactions (Charles Boyle is a real life cinnamon roll), it perfectly balances its humour with real, emotional and realistic plot arcs. The latest season was pulling under two million viewers (not including streaming services) but while niche, the show’s fans are hugely passionate about its societal importance and general quality. Twitter has burst into outrage at the news and fans are begging Netflix to take over the show. The streaming service has a history of saving gone-too-soon comedy programs, like Arrested Development, which has a new season dropping soon. Show creator Dan Goor thanked the fans for the love after the announcement. “Thank you all for this incredible outpouring of support. [Brooklyn 99] fans are the best fans in the world. It means the world to me and everyone else who works on the show,” he tweeted after the announcement. Big entertainment names are equally outraged. As well as the B99 cast posting about the loss, heavyweights like Mark Hamill, Guillermo del Toro, Lin-Manuel Miranda and even the Backstreet Boys have all tweeted about the “gut punch” news. The show recently hit its 100-episode milestone and is the second longest running live-action Fox comedy, behind New Girl (which is also on its final season). The two shows even had an iconic cross-over episode. While fans still hold out hope for a streaming service pick-up, for now we have to get ready to say goodbye to the squad in the season finale, centered around Jake and Amy’s wedding.